Senator Jerry Useni, the Peoples Democratic Party, PDP, candidate in the last governorship election in Plateau State, has said that the party had overwhelming evidences to ensure success in its fight to “recover’’ the mandate it got at the polls. 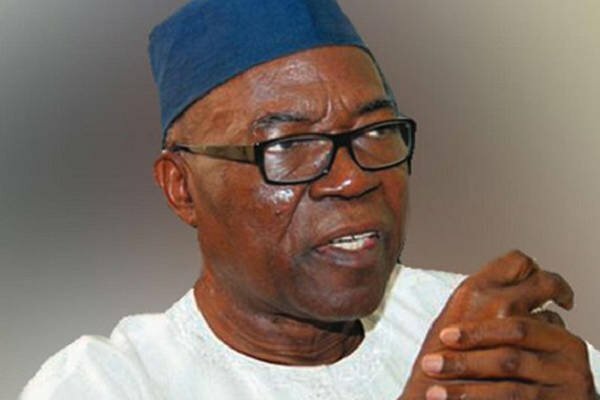 Useni, while speaking at the expanded meeting of the campaign council held on Wednesday in Jos, vowed to give the legal fight “all it takes’’ so as to ensure that votes given to his party were not wasted. He advised supporters and officials of the PDP to remain calm, prayerful and supportive as the battle for the governorship seat moves from the ballot box to the tribunal, NAN reports. Also speaking, Sen Jonah Jang, former Plateau governor, advised PDP members to intensify prayers and not be discouraged. He expressed support for the decision to challenge the outcome of the election in court, and urged members to be supportive of one another. DAILY POST recalls that Gov Simon Lalong of the APC was declared winner of the Plateau State governorship race on Sunday, after the supplementary elections that took place on Saturday.